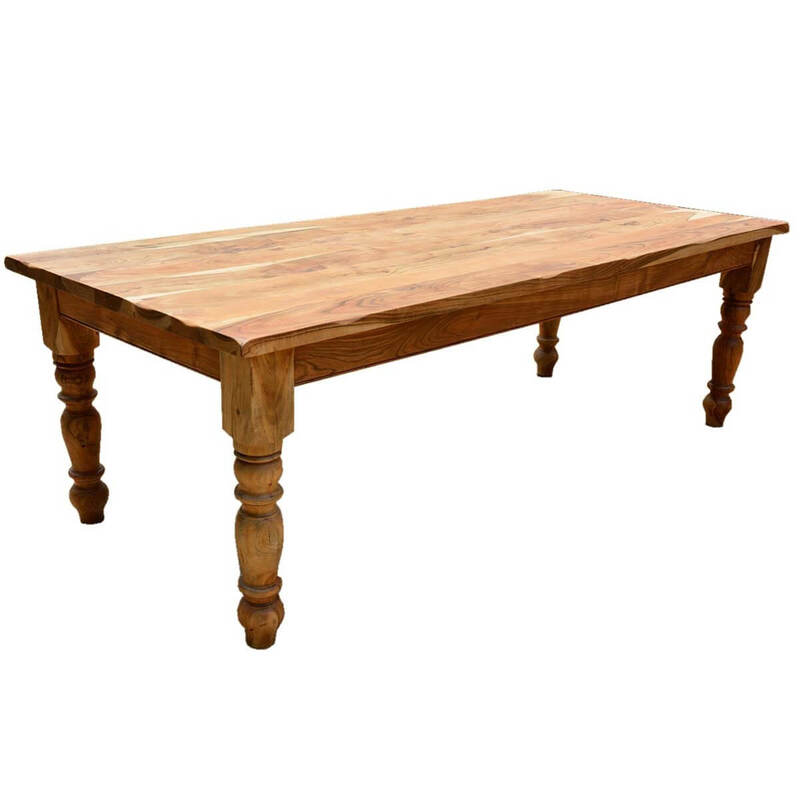 Comfort and style come together in our Rustic Furniture Farmhouse Solid Wood Dining Table Chair Set. 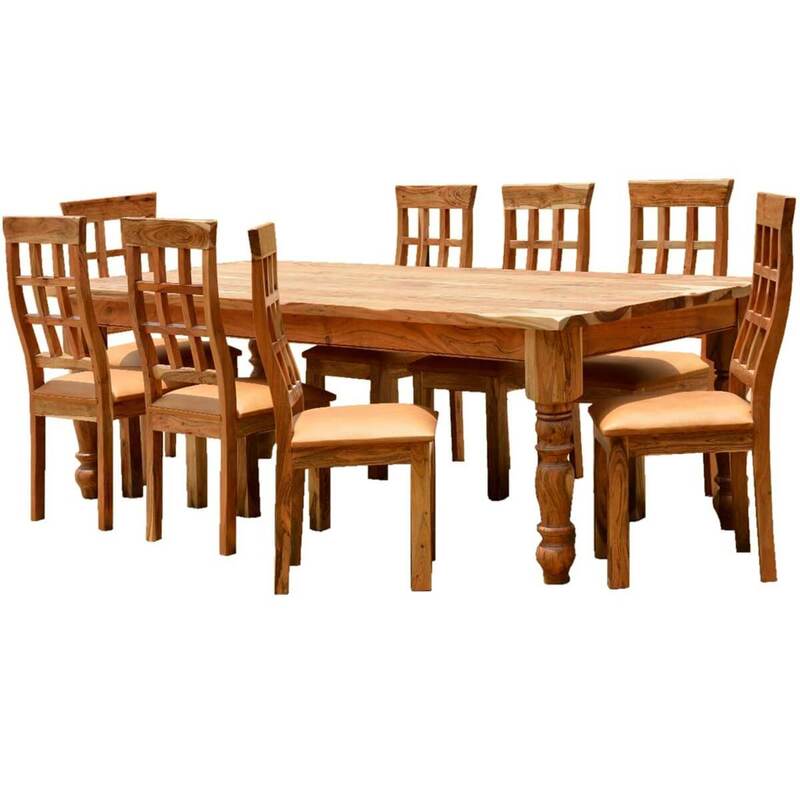 We paired our hand carved solid Acacia long rustic dining table with our hand crafted upholstered chairs. The set combines traditional elements such as classic column table legs with modern ergonomic chair back and leather seat. 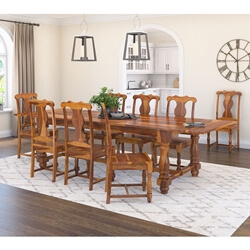 This heirloom quality dining room ensemble will be the center of family celebrations for years to come. 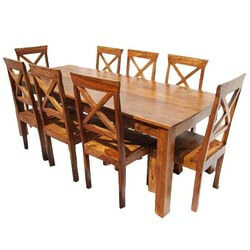 Materials: - The whole set is built with solid Acacia wood. 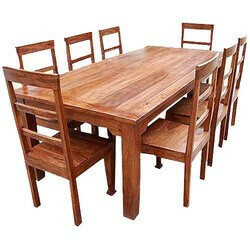 This fragrant hardwood is used for many luxury products such as fine furniture and musical instruments. 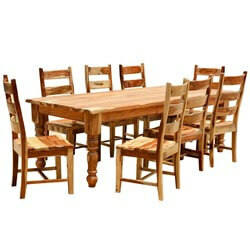 It's sought after for its strength, density and dramatic wood grain patterns. 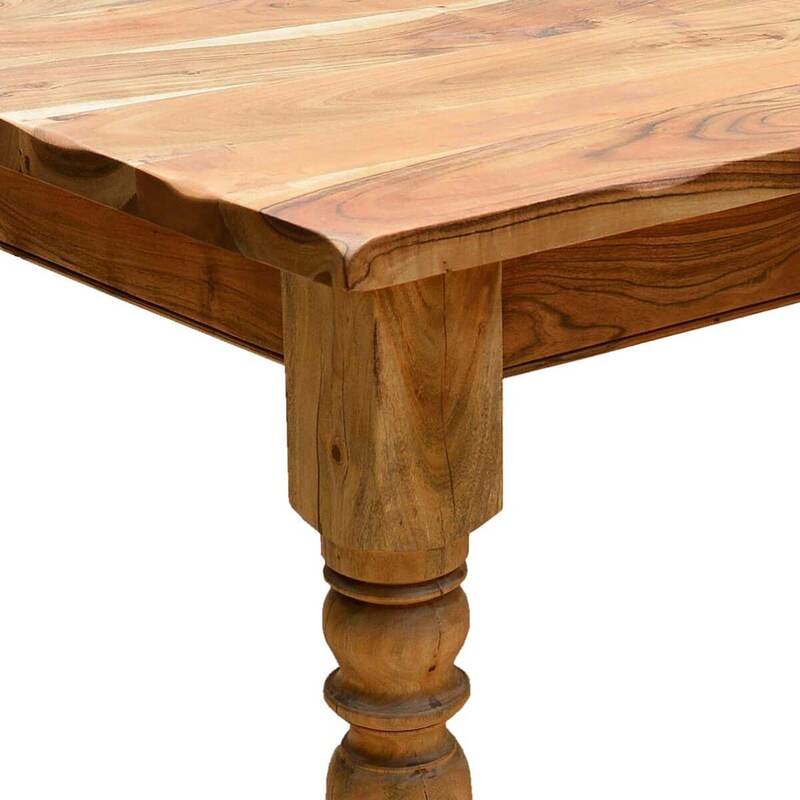 Finish :- We mix our wood stains in small batches to insure the highest quality then apply it by hand. The wax and finish is also hand rubbed. Features: - We use a dense pad and leather upholstery for the seats. 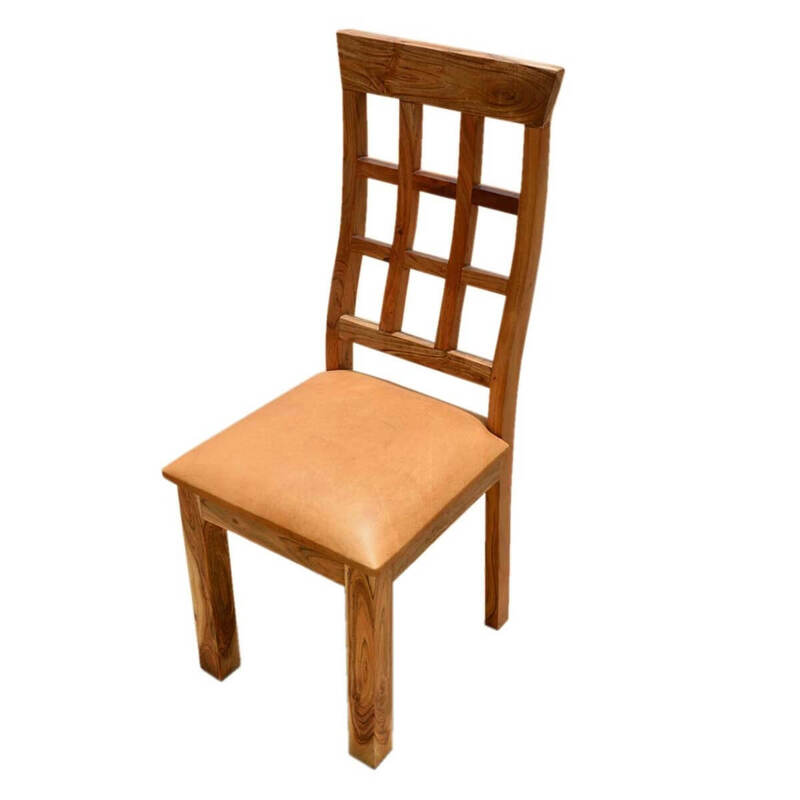 The high chair backs and wide seats offer a level of comfort not always available in formal dining sets. 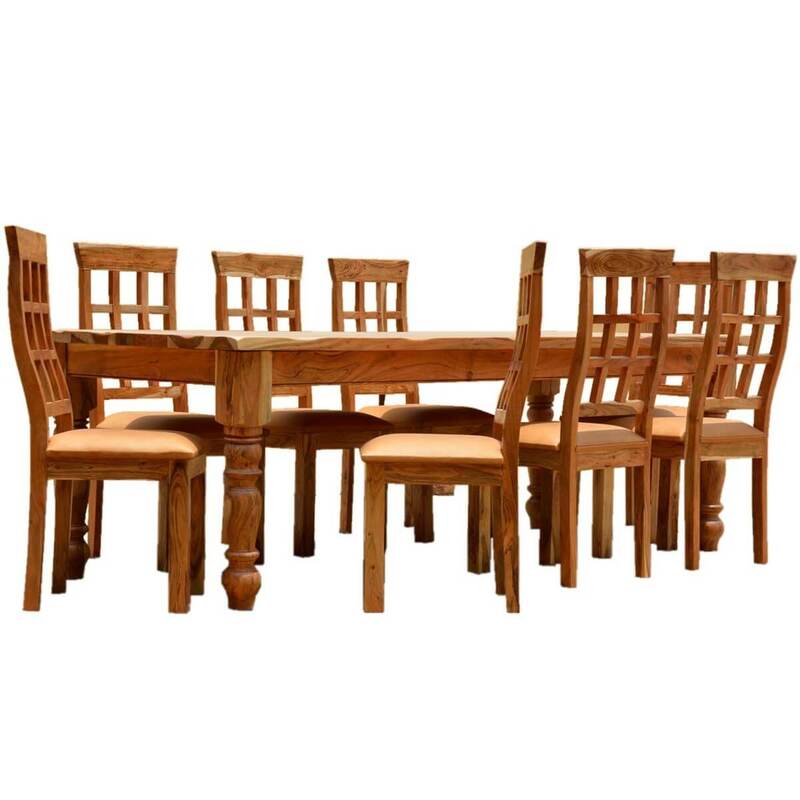 Craftsmanship: - We are especially proud of the exceptional workmanship you will find in both the classic dining table and contemporary dining room chairs. 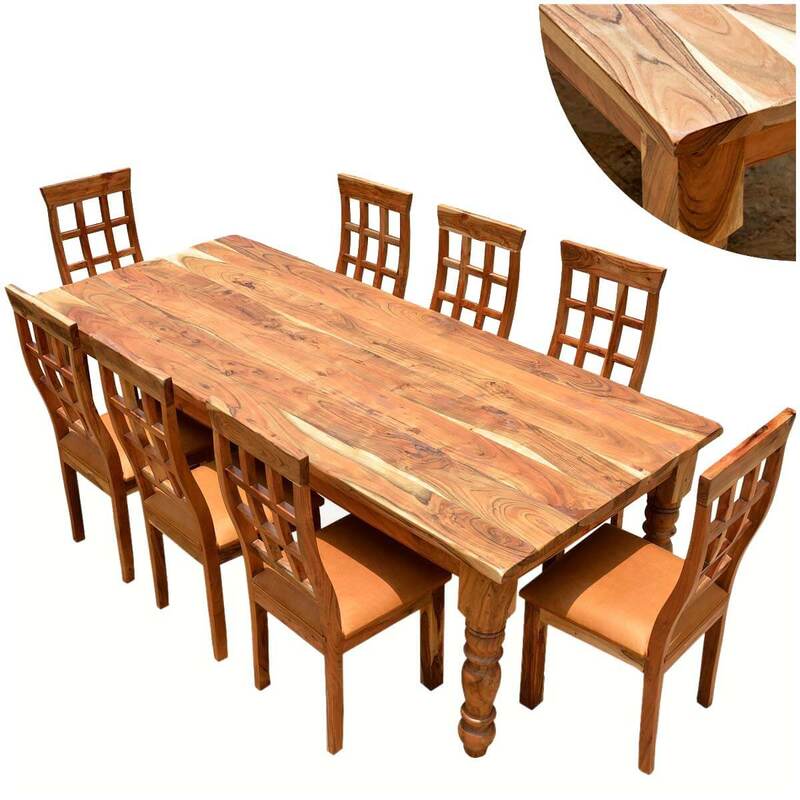 The set is handmade by old world artisans using traditional furniture building techniques.